Messenger™ is a bi-directional wireless communication system. It is an ideal link for sending and receiving real-time messages. With a broad range of functionality, Messenger enhances guest convenience, reduces expenses, and conserves staff time. Utilisant les dernières avancées technologiques des cartes à puce, DeskLinc a été conçue pour offrir aux propriétaires de petits et moyens établissement toutes les caractéristiques et les avantages d'un système d'exploitation de réception sans besoin d'équipement informatique volumineux et l'installation associée. Locktech keycard encoders are a vital component of all access control systems. 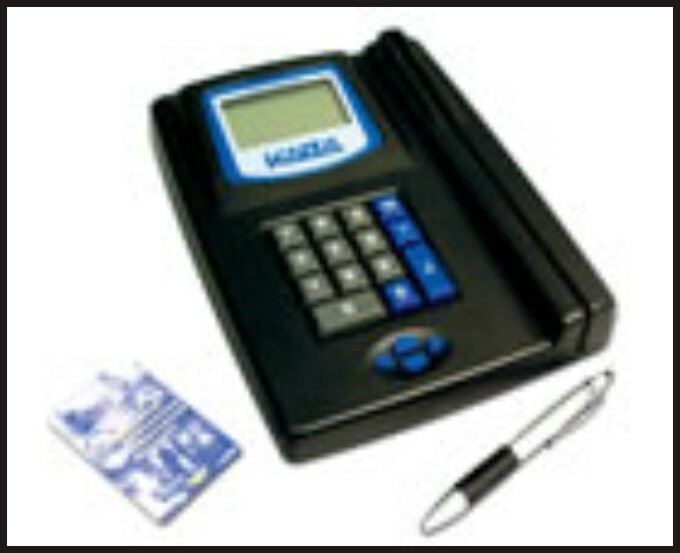 An encoder transfers/transmits access information and commands from the software to the keycard. Each system is configured to suit the unique requirements of a property. We offer a variety of keycard encoders from which to choose, ensuring that you use the right encoder to support your property’s requirements. Secure Shift® presents a detailed approach to managing employee time, attendance, and access. As a standard feature, Secure Shift is multi-technology enabled. It can read/encode smart, magstripe, and memory cards. The System 6000™ two-set CD is designed to provide step-by-step training for operating System 6000. Ideal for new and existing employees, the CD enables both property managers and employees to learn at their own pace. Card printers offered by Locktech allow hotels, resorts, timeshares, military bases, and other properties to enhance guest convenience and security. With one of three available card printers, you can instantly issue high-quality plastic cards for identification and promotions.